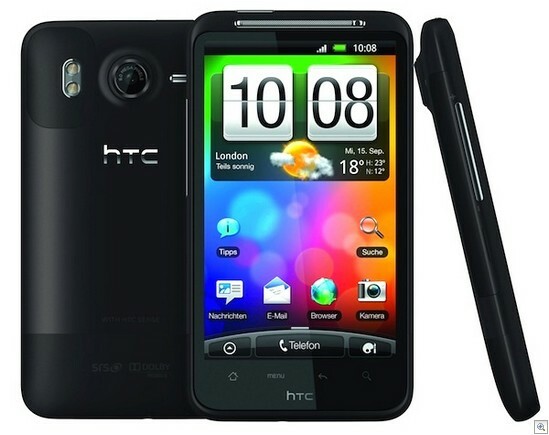 HTC Desire HD users can now rejoice the benefit of latest Jellytime 4.1.1 firmware. This firmware is based on the latest Cyanogen Mod 10 release and also comes with the stable Google Nexus like look which is nothing but the pure look of Google’s Jellybean. This custom ROM firmware comes with a host of features which are sure to increase the overall experience. As of now, there is no ETA on by when there will be an official firmware update but full credits will goes to the custom ROM developers who were constantly working hard to come up with the stable versions of custom ROM firmwares based on the Jellybean 4.1.1 builds. Before start to proceed, let’s we take a brief look of list of features of this custom ROM firmwares and pre requisites you have to follow. One of the sad thing about this firmware is headset buttons do not work. It is always advisable you to take backup of all your precious datas which was present in your phone. Just in case, if you lost your data after apply this update you can easily recover them with the help of backup. IMPORTANT : Don’t backup the data with the help of HTC Sync as it does not detect the custom ROM firmware. As this is a custom ROM firmware it can be applied only to the rooted device. So, before start to apply check whether your device is rooted or not for that you may download the “Root Checker” app from Google Play Store. Make sure that you have left the battery level of atleast 30% or else there is a risk of your device getting turned OFF during the middle of update. Disable all the antivirus tools in your device because this may interrupt the process of firmware update. Enable the USB Debugging in your HTC Desire HD by following the path “Settings > Applications > Development > USB debugging” and ensure that USB Debugging option is ticked. So, once you have done all the above mentioned steps then head over to the next step given below; there we have summed up a detailed guide on how to apply this firmware update in your HTC Desire HD smartphone. First, download the latest Jellytime 4.1.1 firmware package from here to your computer. Once downloaded, then connect your device to the computer with the help of USB cable and transfer the downloaded zip file in your HTC Desire HD device. Make sure that you do not kept the file deep inside the sub-folders. Once you have placed the file, disconnect the device so that it can be entered in the recovery mode. Recovery mode in HTC Desire HD can be entered by pressing the Volume Down button + Power Button till you see the recovery mode screen on your phone. Alternatively, you can also enter the device in the recovery mode with the help of ROM Manager app which can be downloaded from the Google Play Store. In recovery mode, select the “install zip from SD card” > “Choose zip from SD card” and then choose the Jellytime 4.1.1 Firmware Package which you have already placed in the phone. Once, the file is selected it will take around 5 minutes for applying the update. NOTE : Just in case, if the process of firmware update gets stopped due to any reason, you need to restart the process from the start by re inserting the battery. Congo! you have now successfully update the latest Jellytime 4.1.1 Firmware in your HTC Desire HD android smartphone. Ok, I’ve been testing Android 4.2.1 JellyTime 42 R3 on my device for some time and I have to say that I’m dissapointed because there’s no support for Sense, meaning Autorotate won’t work at all, even if it is activated in System Settings as well as in Nova Settings, it won’t rotate anything, except for games that require landscape mode (like Angry Brids which doesn’t work anymore by the way, it just sets my screen on landscape and freezes, I force close the app and then the whole screen stays on landscape until I seriously tweak the device to restore the portrait mode). Also, there’s no support for screen on during a call as I “unpin” my device from my ear, it should activate the screen in order to close the call, but it does’t do that… Also, the gyro sensor doesn’t work, no control in games like Racing Moto, GPS won’t lock and several issues… I strongly consider returning to Gingerbread with Sense UI… Sorry.